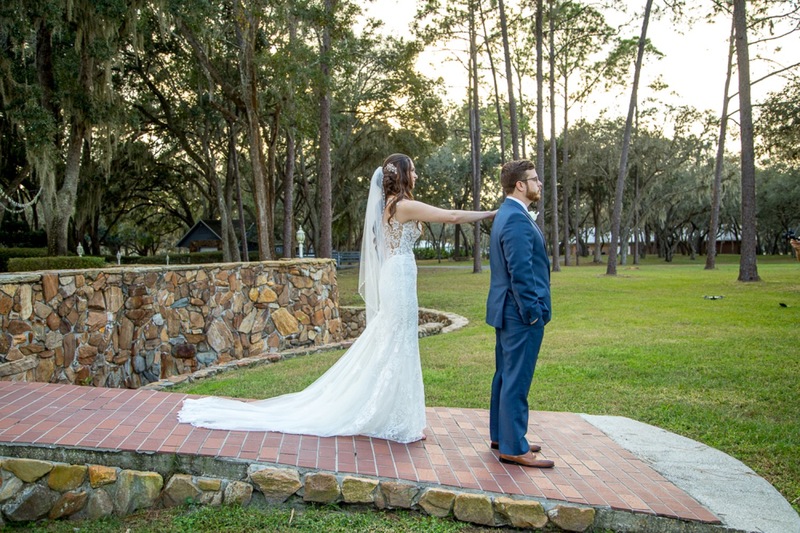 This Stonebridge Farm Wedding in Dade City Fl for Melissa and Anthony was a perfect happily ever after day that had charm and magic. I was so honored to be a part of this wedding because I have known Melissa for about a decade. I remember her telling me ten years ago when I had started out in photography that when she gets married she wanted me to be her photographer. And it came true. I had wrote a blog about Melissa and Anthony back when I did their engagement session almost a year before their wedding. Their story is a tale as old as time and a lucky one for that. They are a couple that found their way back to each other over time. I was fortunate to witness this event in life personally, and of course it’s a genuine happily ever after story. Melissa told me about her desire to be married under a huge oak tree. Stonebridge Farm has huge oak trees. The venue is set back on a secluded property that feels in the middle of nowhere but it’s rather a private area. It is certainly a gorgeous wide open space full of country life feels. The venue is absolutely stunning. It really has a fairy tale feel. The wedding party was adorned gorgeous dark purple and dark blue. These colors were perfect for a late fall early winter wedding too. I admit, I teared up. When I saw Melissa walking down the aisle, my flood gates opened from my face. Just a little. Not because of how beautiful she looked, or because of how it was making Anthony cry, but because I couldn’t believe I was finally witnessing this moment happening. I have a personal connection to this moment, I was here for a reason and a long time reason. But let’s fast forward to the fun! The reception was a full room of all their loved ones and some amazing energy. After the cake cutting and the bouquet garter tosses were done, the guests danced non stop till the end of the night literally. It was so much fun to see so much energy on the dance floor. And the best part was at the end. Not just the part when everyone formed a giant circle of dance around Melissa and Anthony. It was the bubble exit. Not just a regular bubble exit, I am talking a super bubble exit. They had a bubble making machine! Oh the bubble bliss! I wish Anthony and Melissa all the happiness in the world! Congrats you two!